At the surface level, Pixel Buds are Google's answer to Apple's AirPods. Both are wireless headphones designed to easily connect to each company's latest smartphones. Despite those similarities, they are different products, pointing to each company's strengths. Our take: Apple's AirPods are more elegant as well as smaller and more comfortable. However, Pixel Buds have some other appeals, most notably the ability to aid in real-time language translation. The comparison: Apple's AirPods are decidedly more elegant, effortlessly connecting to the iPhone and so light and comfortable you barely notice they are there. 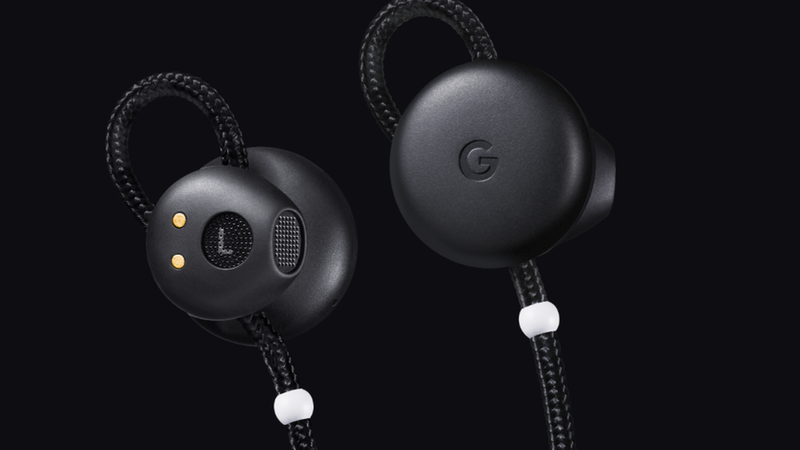 Pixel Buds, by contrast, are a less radical design, with the two buds connected via a long cord. Where they shine is in added features, in particular one that lets the headset handle real-time translation via Google Translate. In my limited testing, it wasn't that different than just using the Google Translate app, though it is a bit more discrete. Who it's good for: People who have a Pixel or Pixel 2 (regular or XL models) and are already in the market for wireless headphones; those who travel a lot internationally. Who it's not: People that already have wireless headphones they like or who want the smallest and most comfortable headphones. The practicalities: Pixel Buds sell for $159 and are available to order from Google's Web site. While early orders are shipping this week, those ordered now could take until December to arrive.